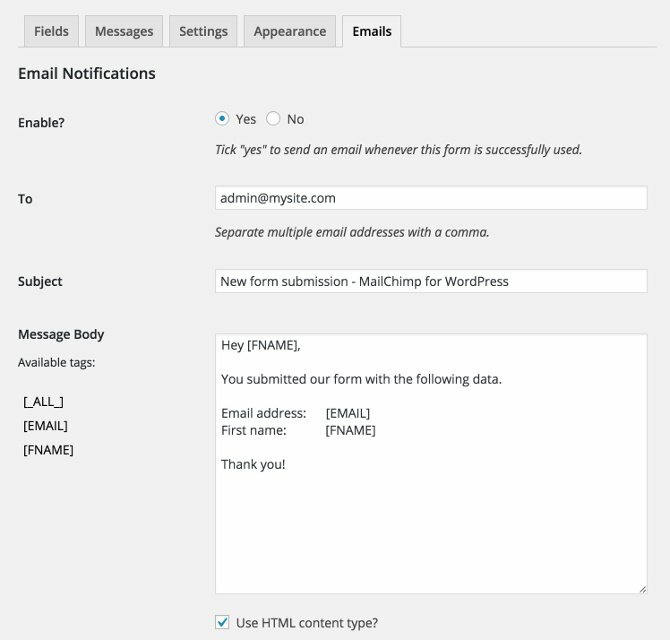 Mailchimp for WordPress comes with a free plugin, which allows you to subscribe your visitors in various ways. It is actively used on well over a million different websites and has been very well received by the WordPress community. However, sometimes you just need a little more. That’s where Mailchimp for WordPress Premium comes in. The Premium plugin is built on top of the free plugin, but adds a few very useful tools for you to use. 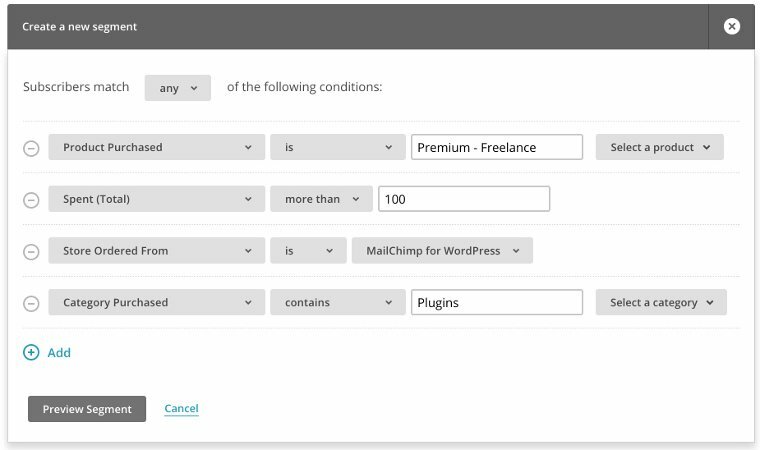 Here’s which additional benefits Mailchimp for WordPress Premium has over just using the free plugin. Premium allows you to create multiple forms, whereas the free version limits you to a single form. Also, forms can be submitted using AJAX, meaning submitting a form does not reload the entire page. Complete e-commerce integration for WooCommerce. Track visitors & sales coming from your email campaigns, record order information and send it all to Mailchimp. This allows you to create powerful list segments based on the purchase activity of your subscribers, use product recommendations or recover abandoned carts. More about our e-commerce integration. 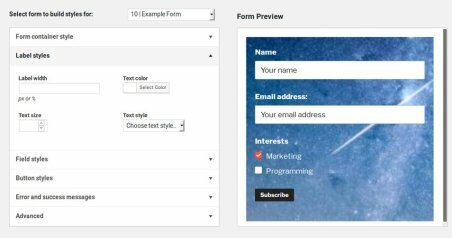 If you want to customize the appearance of your forms beyond the included styles, the Styles Builder can help. It allows you to modify the styles of every form element using a simple settings interface. No code knowledge required. Discover which sign-up methods & pages are performing best over any given time period using visual charts. With Reports, every sign-up attempt is logged and can be exported when needed. Need to send out an instant email notification for every form submission? That's easy in Premium! The email can be fully customized and is sent from your website directly, without having to go through Mailchimp. 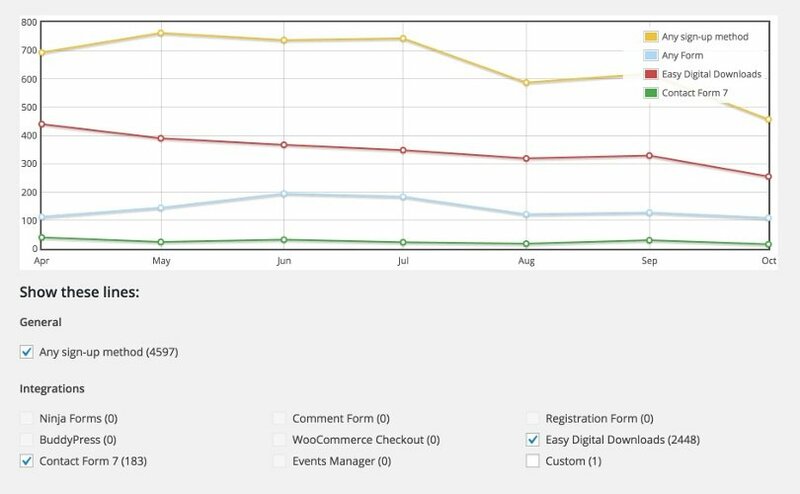 Whether you are looking for more email subscribers, better email campaign performance or prettier forms. Our Premium plugin will do all that for you. We really think this is best experienced yourself, so why not go ahead and give it a try? We have a no-questions-asked refund policy, so you can always get your money back if you don't like the plugin.